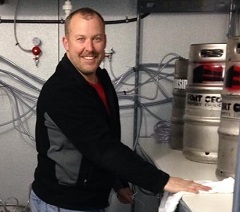 The new FlyBoy Brewing in Tigard is opening April 10! Come check out the newest brewery, taproom and restaurant! With 26+ taps on line, this is the biggest FlyBoy yet–with a full-size brewery and restaurant with seating of nearly 100! We’ll be announcing a big grand opening celebration in a few weeks. We’ll also be updating this website with our tap list, menu and event details in the coming days. 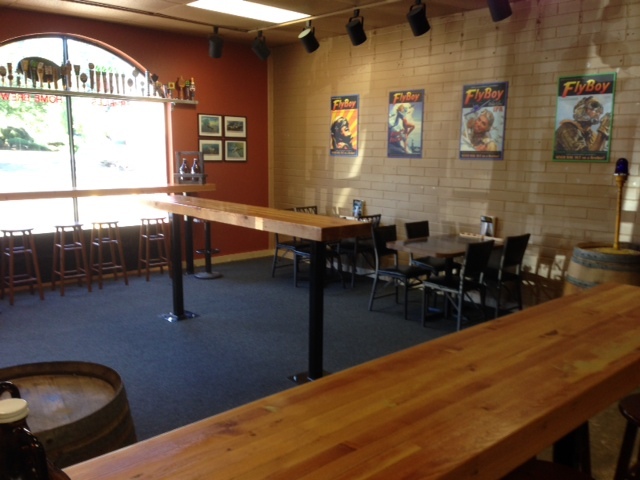 FlyBoy Brewing is a taproom and home brewing supply store in Lake Oswego, Oregon. A nano brewery is now in full production, making the shop a brewery as well. We carry more than 20 beers and hard ciders on tap. Also on tap are a couple of kombuchas. A unique selection of wine is also available. FlyBoy Brewing is open Monday through Saturday from 11 AM to 9 PM. Over 20 Taps of regional craft beer and cider. 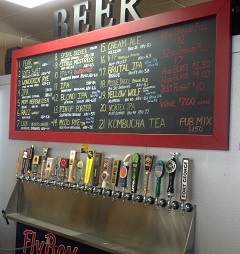 Biggest selection of taps around! We have more taps than anybody else in the neighborhood. Our selection is always changing, giving you a wide variety of local and regional craft beers and ciders. Stay for a pint and take a growler when you go. We always have a game on TV and there’s always friendly conversation with the great patrons that come to visit. When it’s time to head out, grab a growler-full of your favorite beer or cider. Grain, hops, yeast and everything you need to brew beer at home. We carry grain, hops, yeast and more. Bring your recipe and we’ll help you put together everything you need to make a great beer at home. We also have kits, equipment and accessories. We prepare a selection of pub snacks that compliment our beers. Our popular Meat and Cheese Tray offers a satisfying array of salami, cheddar, crackers and more. If you’re craving something more substantial, we are right next door to Papa Murphy’s. You can grab a fresh pizza and we’ll bake it for you.